You’d probably like to hear that liposuction is the answer to the body you’ve been looking for or been working hard towards. For some, it is. Liposuction is an invasive procedure that can permanently remove excess body fat and leave your body looking more fit, trim and contoured. It is also an extremely popular procedure which of course means that many individuals who carry extra fat and want to rid themselves of it do qualify for it. But how do you know if you are one of the ones who can take advantage of this body transforming treatment? Let’s be clear, only an in-person consultation with a qualified cosmetic surgeon can definitively answer this question for you. However, let’s look at a few requirements here that can give you an idea if you should make that appointment with your local surgeon to talk about liposuction. You probably want to make that appointment, anyway, to plan for your liposuction if you only partially qualify now. Your surgeon can give you good advice to help you prepare for your next visit. Liposuction will improve your body contours by helping you to remove excess fat that other measures have failed to eliminate. However, liposuction is not a weight loss strategy, and it is not designed to help you lose substantial amounts of weight. Your cosmetic surgeon won’t let you have the procedure to achieve radical weight loss because it is simply unsafe to have liposuction for this reason. Having reasonable expectations — which comes from learning about the procedure and understanding exactly what it can do for you — will also positively affect your results. If you expect more from the procedure than what it can achieve, you will inevitably feel dissatisfied with your results no matter how good they are. Liposuction can produce visible and substantial results for most individuals, but like all procedures, it has some limitations. Your cosmetic surgeon will educate you about them and prepare you for a successful treatment with results that far exceed your expectations. Nothing substitutes for a nutritious diet and sufficient exercise to improve your general health and help you lose weight. In fact, if you want to have liposuction, you can’t select a better way to prepare for your procedure and maximise your results. These habits will not only help you qualify for your procedure, but they will help keep you looking fit and contoured long after you have had your procedure. A healthy lifestyle is also the only way to reduce visceral fat which liposuction does not treat. Liposuction helps you complete your body goals by eliminating the fat that’s left behind after you’ve begun to live a more healthy lifestyle and have come close to — or reached — your ideal weight. It helps you eliminate the last fat deposits on your body that keep your desired look from becoming a reality. If you’re not quite there yet, don’t worry. You can have your liposuction procedure as soon as you’re ready, and the healthier you are when you have your treatment, the less risks you’ll have, and the better your results will be. Good skin elasticity means you will get the best results from your liposuction treatment. If you have good skin elasticity, once liposuction removes unwanted fat from your body, your skin will reveal the full effect of the treatment and your new, improved contours. If you have poor skin elasticity, however, you won’t see the full effect of what liposuction can do for you. 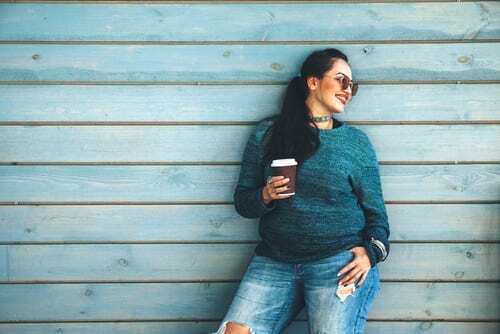 This doesn’t mean liposuction won’t work for you; it just means you may need an additional procedure, like a tummy tuck or thigh lift, to get rid of your excess skin, so you see the most improvements. Your cosmetic surgeon will assess your skin condition during your consolation and recommend the best course of treatment to get your results. Liposuction requires your cosmetic surgeon to puncture the skin to access and eliminate the fat you want to treat. While, in most cases, you can return home on the same day you have your treatment, you will have bruising, swelling and redness to contend with and will need to allow your body to rest and heal for several days. Because of the nature of the procedure, you will also experience some temporary soreness and tenderness, although you can manage these symptoms with medications. All liposuction treatments will have recovery and side effects; however, only you can decide if the long-term gains are worth the short-term investments. With such great outcomes for most patients, however, many still find liposuction a very worthwhile option to achieve their body goals. Dr Masood Ansari MBBS, MSC, MRCS, FACCS of My Cosmetic Clinic offers liposuction along with many safe and effective cosmetic procedures. His clients benefit from his experience and expertise which directly enhance their natural beauty and restore their confidence and well-being. The surgeon’s clients also receive consistent, compassionate attention from his entire practice staff. Dr Ansari’s commitment to his clients and their cosmetic needs ensures that they receive the best course of treatment to achieve the best possible look. Call My Cosmetic Clinic now on 1 300 85 49 89 to arrange for your in-person consultation with Dr Ansari and learn more about liposuction or other procedures to rejuvenate and enhance your body and face. My Cosmetic Clinic looks forward to helping you feel happy with your appearance again with long-lasting results.